She’s always closer to my heart this time of year, that beggar who knocked on my door about 15 years ago. She has become, to me, the silent queen who instructed me in a way of giving that has nothing to do with duty and everything to do with living an intentional life of love and gratefulness. It’s the time of year when we contemplate the things we are grateful for and celebrate God’s goodness throughout the past year. We romp through the leaves, plan feasts with family and take more moments than usual to stop and think about life and the blessings that surround us. For me though…my thoughts wander back in time. It was a hot, Friday afternoon and our top floor apartment in Dhaka city held the heat in like a brick oven. Work stopped and the streets emptied as the men strode in small groups to the mosque to say their prayers and listen to the Imam’s message. Outside the mosque, beggars and desperately poor lined up to receive alms. After prayers, many made their way into the nearby apartment buildings, knocking on doors in hope of some generosity. When my doorbell rang, I was not feeling like the most gracious of souls. Scooping up my rambunctious toddler, I opened the door, expecting this to play out as so many other times when I opened the door for a beggar. 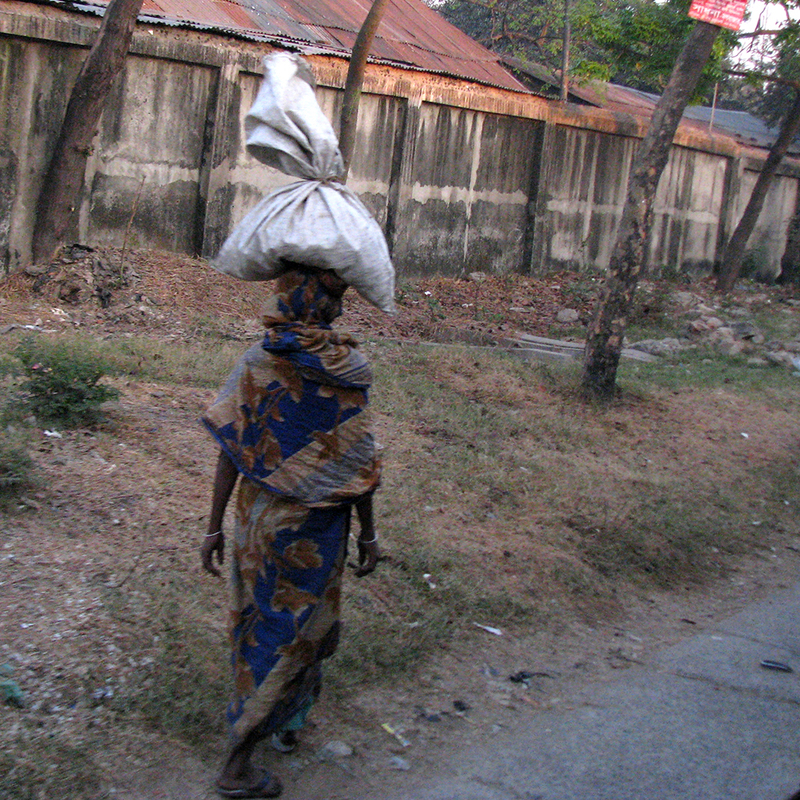 She came wrapped in a ragged purple sari, an old rice sack slung over one arm. She held out her tired, wrinkled hands, her darkened eyes telling a story of deep sorrow. Her wordless lips and empty hands reinforced her story with a non-verbal description of torture and loss. Lifting her sari from her midriff, she showed me a deep gouge where half of her stomach had once been and I wondered how on earth she had survived. She then held out her hands, imploring me to give her some food. For some reason, I invited her to come inside. She took a seat on the floor while I went to the kitchen for my basket of vegetables. It was a large basket, piled high with onions, garlic and potatoes. I offered it to her, thinking she would pick out what she wanted and I would use the rest for our dinner. Before I knew it, she had emptied our entire veggie basket into her rice sack and then, silently reaching down beneath my precious veggies in her sack, she pulled out a few grains of rice and with hand gestures, pleaded for more. To most Bengali people you have not really eaten a meal until you have eaten rice. We would always chuckle when our friends would insist that our sandwich or pizza was just a snack. In fact, a very common greeting is, “Have you eaten rice yet?” which, having lived in Bangladesh, sounds quite normal to me now. Rice is grown and harvested three times a year in much of the country and provides two-thirds of the total calorie intake and half of the protein for the average person in this country of some 160 million people. It literally is the life of this beautiful country. Don’t get me wrong, we love rice. In fact, I get strange looks here in America when I pick out the largest bag available in the grocery store but I don’t mind. If I had to choose one grain to eat for the rest of my life, it would be rice. Still, there are times when I run out of rice and that was one of those days. It wasn’t because didn’t have the money to walk down to the neighborhood shop to buy more, it was merely a matter of timing and the fact that I still had bread and potatoes in the house…at least I had until she had emptied them into her bag. I told her the truth, “I have no rice.” Her eyes became as round as saucers and filled with horror. She put her hands on her face as she tried to wrap her mind around the fact that I had no “food” in my house. Then, without thinking about what she was going to eat that night, she reached again to the bottom of her bag, way down beneath all the potatoes, onions and garlic and grabbed as much her stash of rice as her hands could hold. She then held out her hands and offered this vital source of sustenance to me. “No, no, no” I said as I struggled to get over my shock. The cost of her sacrifice was not lost to me. I’ve received many gifts in my life, but I understood that it was mostly from the giver’s overflow and fit comfortably within their budget. She was offering me what was most precious to her, something she had so very little of. A sacrifice. The rest of the day passed in a blur for me. This woman went on to knock on more doors, her life not visibly better or worse for having visited me. It was I however who still benefits from that silent exchange. This silent queen in her tattered clothes, offered up her source of life and sustenance to one, who in comparison “had it all”. They say you can only keep what you give away. I would add that true gratefulness helps us to hold lightly and give freely. There is deep joy in this way of life. I learned this lesson from the silent queen.